Good governance does not mean control of all aspects of life by administration, former President Pranab Mukherjee said on Saturday. "Our engagement with spirituality was such even our political thought was an extension of our spiritual moorings. When I mentioned political moorings, (Mahatma) Gandhi taught that he didn't go in the convent ional way of fighting against colonial rule. He taught Satyagraha, non-violence and spiritual awakening and further, he thought of such an administration where governance will be least... today when you talk of good governance... good governance is not all pervading. 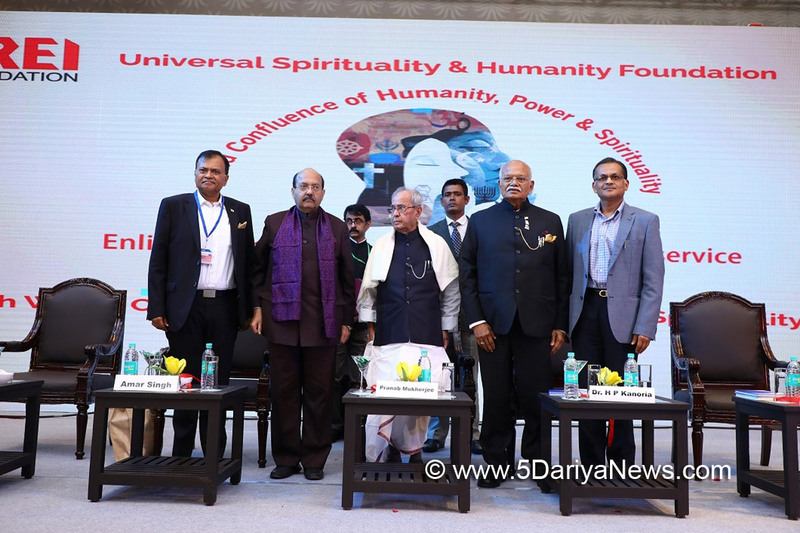 "Good governance does not mean to control all aspects of life by administration, by state... then it will be totalitarian state, as we had in several parts of world," he said in his address at the 'World Confluence of Humanity, Power, and Spirituality' organised by SREI, he said: Mukherjee said the linkage between spiritualism and political thinking lies in self-emancipation."... that we have emancipated ourselves. We are going to give a new instrument of administration to us. Who will offer this new instrument after 190 years of British rule? "To run that free nation, it requires an instrument of administration and that instrument is the Constitution. It was decided that authorship should be owned by people of India. So the first words of Constitution is 'We the people of India'. "He emphasised on a moral code of conduct as an internal evolution rather than it being an external imposition. "Society must depend on code of moral conduct and that conduct will come from within, not from outside. It will not be an external imposition, it would be an internal evolution, as and when it comes from within, without any fear of extortion, without any fear of imposition and then only it becomes true administration and that is teaching of spiritualism," he stressed.